You’re looking through Activity Monitor when you notice a process called blued. Should you be worried that this is running? No: it’s the process that powers Bluetooth on your Mac. This article is part of our ongoing series explaining various processes found in Activity Monitor, like kernel_task, hidd, mdsworker, installd, WindowServer and many others. Don’t know what those services are? Better start reading! The Bluetooth daemon handles SDP transactions, link key management, and incoming connection acceptance. To summarize: any time you connect a speaker, mouse, keyboard, or even an Android phone to your Mac, blued is making that all happen behind the scenes. For the most part, blued is not something that will take up a lot of your system resources. If you do see a persistent double digit CPU usage, something is probably wrong. 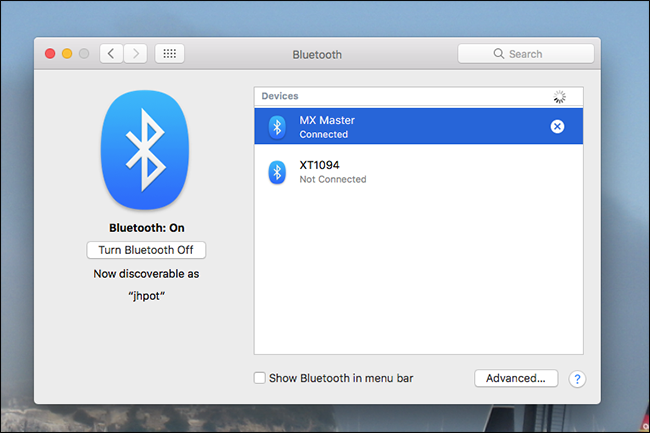 Head to System Preferences, then Bluetooth, and try turning devices off one at a time by clicking the “X” beside its name. If resource usage goes down after you disconnect a specific device, there’s your problem. Google to see if anyone else is having this problem with your specific device, and consider also checking if there are any driver updates available. If you’re not using Bluetooth at all, turning Bluetooth using the “Turn Bluetooth off” button will pretty much stop blued from using any system resources at all. If none of this helps, consider resetting the NVRAM. If that doesn’t help, resetting the SMC is a good last resort. If the problem persists, you might want to consult the experts at your local Apple Store, or any authorized Apple repair shop.